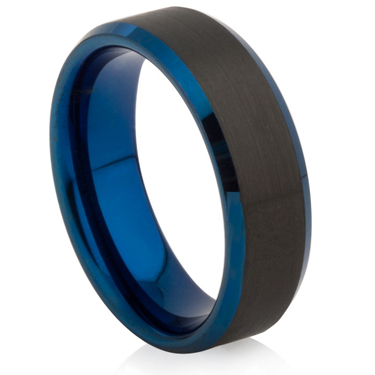 A tungsten carbide ring with bevelled edges and has black and blue IP Plating. The internal part of the tungsten ring has blue IP Plating as well as the bevelled edges which borders the central section which has black IP Plating. The black and blue design makes this a very desirable ring.